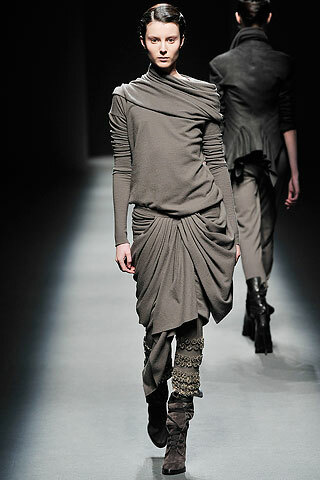 Haider Ackermann’s collection this Fall was a story of greys. So many designers turned to the colour this year, but Ackermann’s take on it was a nod to the many nuances of life that aren’t simply black or white. A woman is an intricate creature with many layers and curves. Love the softness of the drapes against the edge of the leather boots. The loosely military inspired collection (another trend in coats and jackets of late – see Burberry men’s FW10 and Dolce’s FW09 collections for both men and women) used muted greys instead of khaki. Layered satins, velvets, wools and cottons kept the quiet colours interesting. He added reds for punch, and one of my favourite looks of the entire season is perfect in claret and in charcoal. I want them both. The look that was a big point of discussion on Fashion Night. 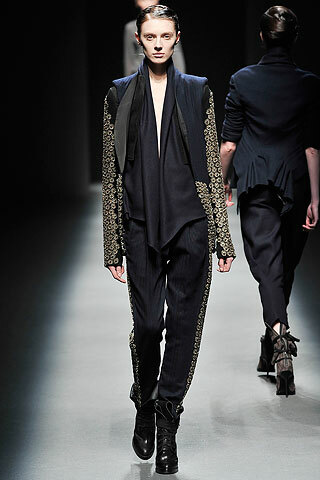 Ackermann’s clothes have impact – whether you are wearing them or drooling over them in a store window. 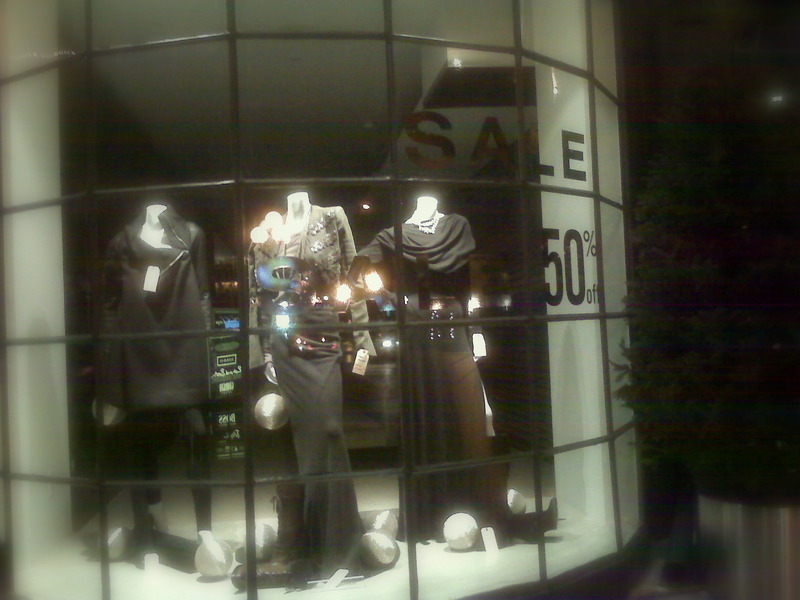 The window at 119 Corbo, Toronto - Haider on sale! How I'd love to wear this to dinner, to work or to the supermarket. They’re hard and soft all at once. The jacket says don't mess - but the satin speaks to her softness. 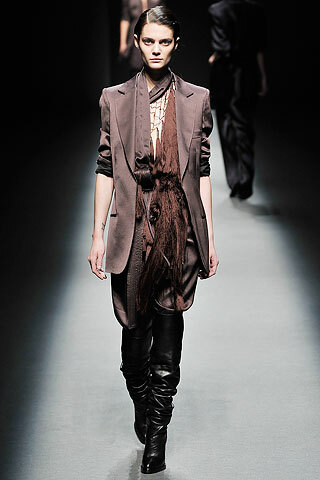 Tons of tassles pacify a long, sleek jacket. It’s the modern mosaic of the city girl, influenced by the global landscape. Multiple cultural references punctuate clean lines. 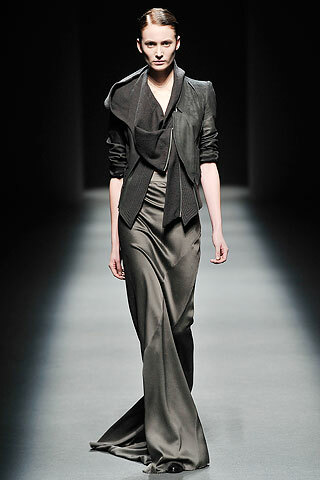 A well-tailored jacket speaks volumes. These clothes are for the woman who isn’t afraid to show off her confidence – or her style IQ. 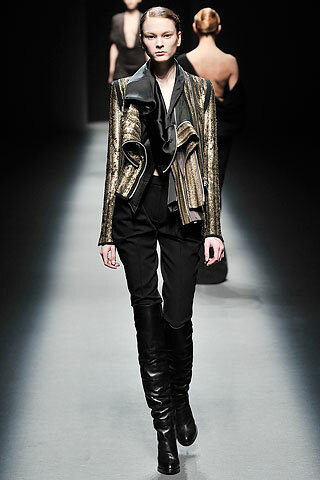 Easily the best pants of the season at Haider Ackermann FW09. All photos courtesy of style.com.